The Temple of Hadrian was built by Hadrian's adoptive son and successor Antoninus Pius in 145 AD. Only one wall survives, with 11 of the 49-foot-tall Corinthian columns from its exterior colonnade. Behind the columns, the holes for attaching the marble veneer to the building can be easily seen. This side of the temple was incorporated into a 17th century palace which is now occupied by a bank. Inside the bank more remains of the temple can be seen. The temple was built on a tall foundation which is now hidden by the higher level of the ground in modern times, but it has been excavated in front of the bank so you can see original ground level. 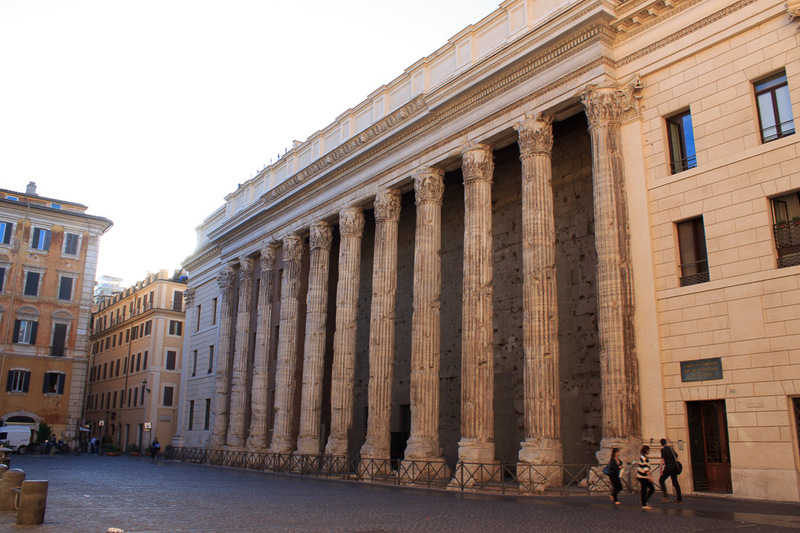 The remains are located on Piazza di Pietra (Pietra meaning stone), a long and narrow square whose name refers to the columns of the temple that line one side of the piazza. The Temple of Hadrian is an impressive site that is well worth a slight detour to see, perhaps on the way between the Pantheon and the Trevi Fountain. The Column of Marcus Aurelius is just a block away. 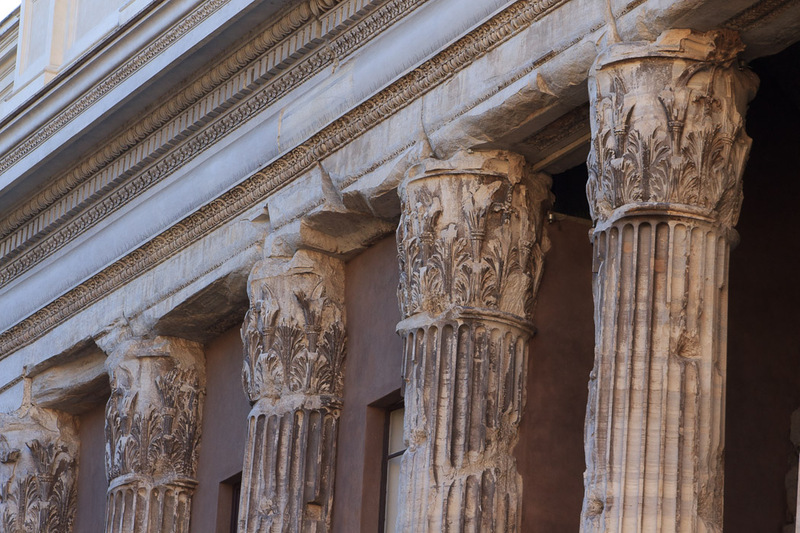 See all Temple of Hadrian photos.